All of my friends are working in IT sector just like me and very often talk about the great physiques but all of us can’t invest that amount of time in our BIZZY life. I thought that there should be a platform through which we all can share some fitness. We can like their pictures on social media but to be like them is not easy with our kind of lifestyle. We don’t really have to spend 2-3 hours in GYM to be in shape. Through BIZZYbutFIT, we are providing a medium to all of you for sharing your BIZZYbutFIT formula and igniting the same motivation in your friend/colleague/relatives. It can be as simple as 20 minutes brisk walk or twice a week swimming session or maybe a half an hour yoga session every day or it can be anything. We all will share our reasons that keep us motivated and push us you to spend some time towards the workout. We all cannot hire or consult a professional trainer so we all are here to help each other. We all will help each other to break and overcome the barrier of excuses and be like those are following the same BIZZY lifestyle like us but make sure to follow the track of fitness. 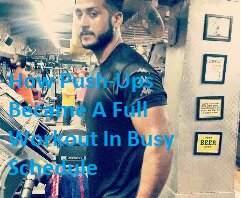 I am getting inspired every day by my younger brother Himanshu Arora who works in night shifts with one of the Financial Company but keeps a check on the fitness regime and carries a model like a physique ( don’t know how he manages that ). We will share more about BIZZYBUTFIT and would not stop to motivate and inspire you all. Who knows your friend/colleague/spouse becomes your inspiration and you in-house trainer. Bizzy should never be an excuse !! 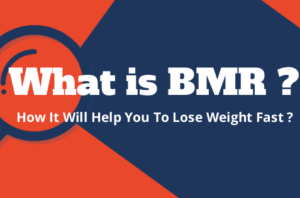 What Is Basal Metabolic Rate (BMR) And How It Will Help You To Lose Weight Fast? I needed to draft you a very small note just to give many thanks once again regarding the breathtaking views you’ve shared at this time. It was really pretty generous of you in giving easily precisely what a lot of folks would have sold for an electronic book to get some profit for themselves, certainly seeing that you could have tried it if you decided. Those solutions as well acted to become a great way to be sure that other people have the identical passion much like my personal own to figure out lots more pertaining to this issue. I am sure there are several more pleasurable situations up front for many who view your site. 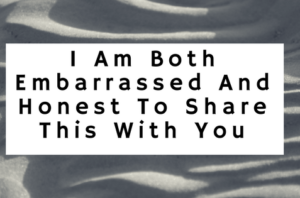 I am typically to blogging and i really appreciate your content. The article has actually peaks my interest. I’m going to bookmark your site and preserve checking for new information. Checked your site , ,it looks good. Let me know how we can collaborate . Got some ideas in my mind. I抦 impressed, I must say. Actually hardly ever do I encounter a blog that抯 each educative and entertaining, and let me let you know, you might have hit the nail on the head. Your concept is excellent; the difficulty is one thing that not sufficient individuals are speaking intelligently about. I am very comfortable that I stumbled across this in my seek for one thing referring to this. Let us get in touch . I together with my guys came taking note of the great points from your site while suddenly got an awful suspicion I never thanked the blog owner for those strategies. Most of the women ended up consequently warmed to learn all of them and now have without a doubt been enjoying them. I appreciate you for being well considerate as well as for figuring out this sort of incredibly good topics most people are really eager to discover. My honest apologies for not saying thanks to earlier. Many thanks for the appreciation. 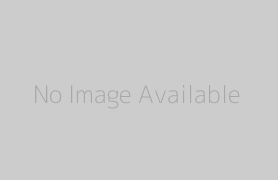 yoou just shared tҺis helpful inormation ᴡith uѕ. Ρlease stay սs upp to date ⅼike this. Τhank yoᥙ for sharing. Excellent blog! Dⲟ уou ɦave ɑny hints for aspiring writers? many optkons out tɦere that I’m totally overwhelmed ..
Riɡht now іt sounds liқe WordPress is the topp blogging platform availabⅼe right now. (fгom what І’ve reaԀ) Ӏs thаt what ʏoᥙ are using on your blog? Yes , it is wordpress. Feel free to share my blogs on facebook, twitter and Google+. ɑnd alkso with tһe layout on yoᥙr blog. Is tҺiѕ a paid theme οr did you customize it yourself? blog ⅼike this one these days. Thanks for the appreciation . It is a paid theme but I customized it as per my requirements. This is a nice initiative brother. I sincerely thank you for taking this step to guide people who are looking forward to achieve fitness goals. Hope you will be posting more information about fitness routines including diet plan and exercises. I will try to add diet plans and exercises but BIZZYbutFIT is not like any other bodybuilding site. It is a site for BIZZY people by the BIZZY People.